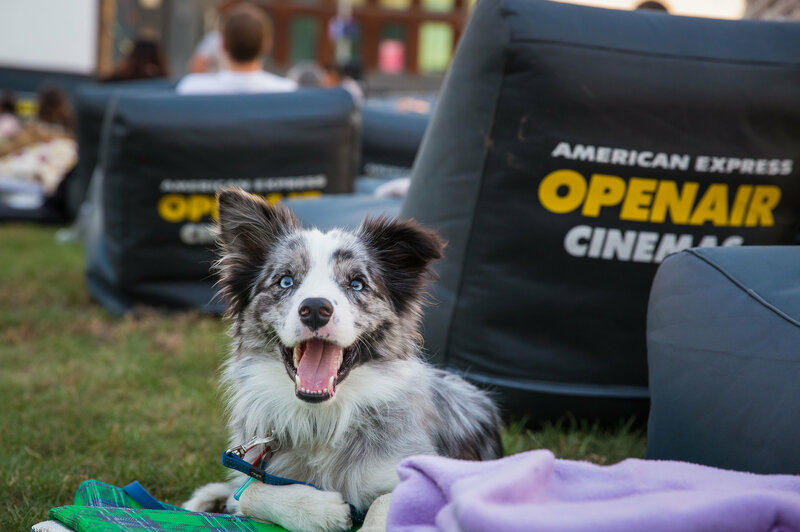 Pyrmont will now host an outdoor cinema after having been selected as the twelfth location by American Express Openair Cinemas as part of their international tour program. The open air cinema has been set up in Metcalfe Park, shielded all around by mid-height buildings and boasting a spectacular behind-the-screen backdrop of the a night time city skyline. It’s a short walk from The Star or across Pyrmont Bridge from the city. Ticket prices start at $14 with package options ranging from BYO blanket and snacks to having an inflatable lounge chair, blanket and waiter service. You can also purchase food and drink from the available eateries including pizza, pasta, arancini and more from Salt Meats Cheese; craft beer, cider, wine, champagne, or non-alcoholic drinks, Pat and Sticks ice-cream, fresh popcorn and more from The Bar. The program includes new releases such as Bohemian Rhapsody and A Star Is Born, and some classics like Love, Actually and Dirty Dancing. And you can even bring your dog! The cinema will be in Metcalfe Park until December 16.